Because my wife is an accomplished seamstress, I have spent more time in fabric stores around the world than I care to admit. (Hm. I guess I just did admit it.) My role is to say things like, “yes, that is a beautiful pattern,” and to empty my wallet before exiting the store. It turns out that terrycloth is not named for its inventor as I had assumed, but no one is certain how it did get its name. Webster’s Dictionary speculates that it may come from “terret”, a crossword-puzzle noun that is the name for those rings on a saddle or harness. A more plausible explanation is that terry is derived from the French word tirer, which means to pull, or pull through. That would apply to the little loops in terrycloth that appear to be pulled up from the fabric. The first terrycloth was made in France in 1841 (out of silk! ), but cotton terrycloth was first made in 1848 by an Englishman named Samuel Holt. The introduction of terrycloth popularized towels, which in turn popularized bathing — until the availability of terrycloth towels, most people considered washing themselves to be more or less an annual event. While obediently holding bolts of cloth my wife has taken off the shelves, I once wondered about the origin of the word denim. It wasn’t until later that I learned it was a variety of serge that had started in Nimes, France; it was called serge de Nimes, but was shortened to… denim. Since we’re on the subject, I took a brief detour to track down “blue jeans”. 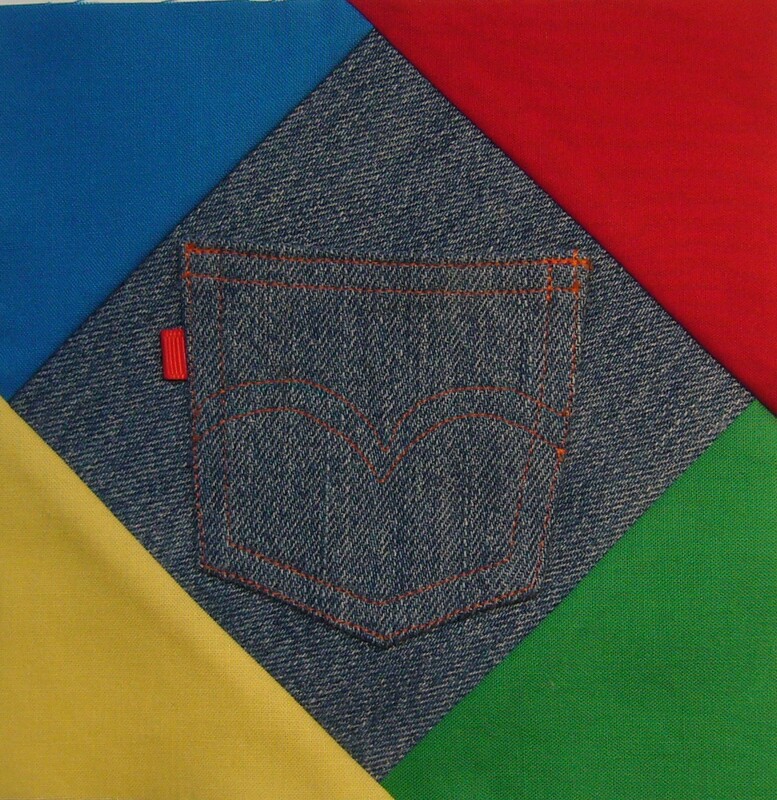 One source says that the first denim trousers were made in Genoa, Italy. The French word for Genoa is Gênes — hence, blue jeans. Or if you prefer, bleu gênes. The man whose name is almost synonymous with blue jeans, Levi Strauss, arrived in San Francisco in 1853 to run a branch of his family’s dry-goods business. The prospectors who had poured into the area during the gold rush were looking for trousers that were more durable than their suit pants. Strauss first made garments out of tent canvas, but those tended to make the wearer feel that his crotch was encased in sandpaper. When he substituted serge de Nimes, Levi’s were born, and before long, customers were flocking to… What? Yes, dear, that is a beautiful pattern. OK, I’ll just stack your bolts of fabric on the counter here and get out my credit card. This entry was posted in Uncategorized and tagged denim, terrycloth. Bookmark the permalink. Great post. Do you suppose the current fashion of wearing jeans so low the waistline chafes your shins has roots in the early days of the rush when prospectors’ pockets were laden with gold? C’mon, there has to be SOME reason, right? If you’ve ever seen the end of a police chase, you know it isn’t because it helps people run faster. Thanks for the post!! Thoroughly enjoyed it. Answered a couple questions that I have wondered about from time to time. I’m glad you liked it, Jon. What you mention as things “that I have wondered about from time to time” is pretty much how most of these blog posts got written. I’d think (for example), “Hm. I wonder which Wright Brother actually made the first flight?” That would provoke me to do the research, and then write up my findings. It’s nice to know that there are other people — like you — who share my curiosity on a broad range of subjects.